Nose: Alcohol, red pepper flakes, charred oak. Palate: Caramel, toffee, oak, serrano chiles, lavender, grape bubblegum. Finish: Oak, alcohol, circus peanut. Parting words: This is the latest installment in the “cleaning out my liquor cabinet” series. I bought this bottle at the distillery. Well, not at the distillery it was distilled at, but at the one that serves as home to the “Bulleit Experience”, Stizel-Weller. This this bourbon is fine. No flaws, drinks well, etc. 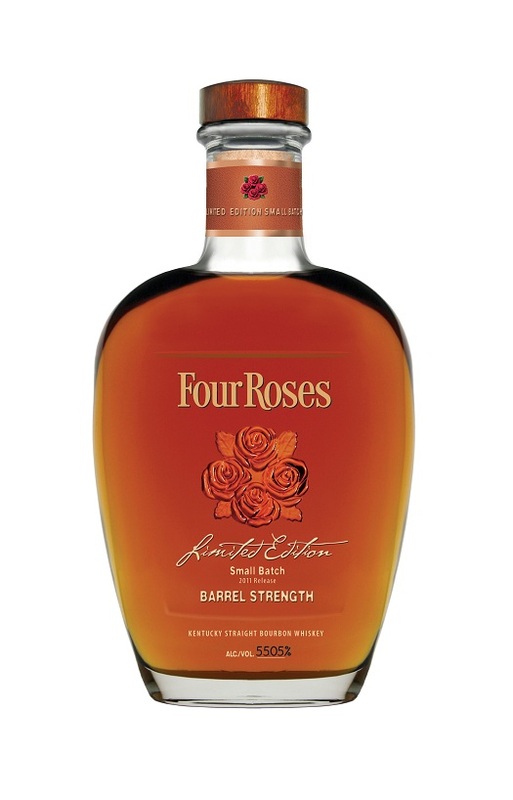 But Four Roses Single Barrel is $42, 100 proof and almost always more interesting than this. There’s no good reason to buy this bourbon instead of that one. 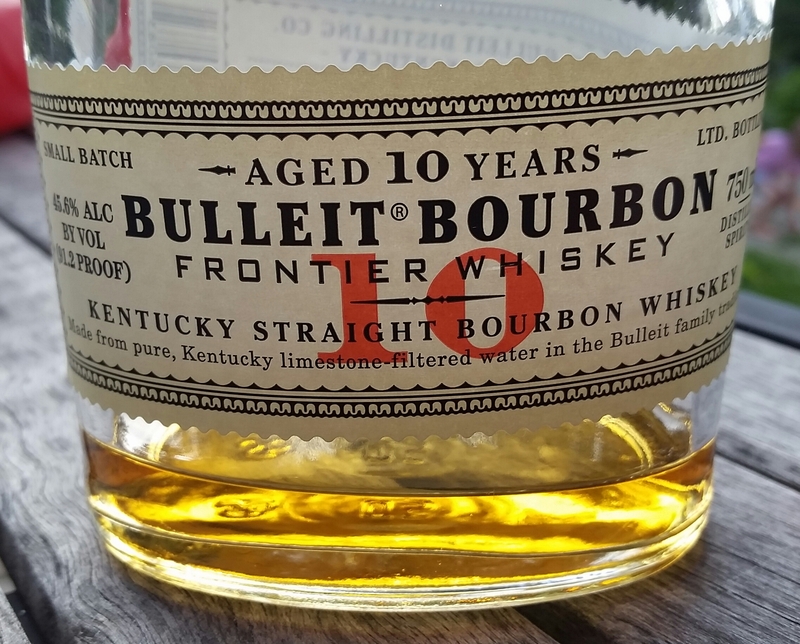 Bulleit 10 y/o is mildly recommended. Appearance: Medium copper with evenly spaced legs. Nose: Alcohol, bubble gum, leather, salted caramel, whiff of steamed asparagus. Palate: Spicy and a little hot. Cotton candy, jalapeno, oak, country ham. Finish: Semi-dry. Oak, raw pecans, alcohol. Anyway, American Prairie Reserve is not cheap, but it’s well done and worth the price, especially considering that 10% of after tax profits go toward efforts to establish a federal American Prairie Reserve in northeastern Montana. That’s also why there’s a grouse on the label. American Prairie Reserve is recommended. Nose: Oak, caramel, toffee, tarragon clove, jalapeno. With a splash of water, bubblegum, leather, fennel, nutmeg. On the palate: Dark caramel, taffy, aniseed candy. With water, soft and fluffy mouth feel. Caramel, oak, toffee again, allspice, table grapes. Finish: Heat, then fruit, then oak, then a long tingle. 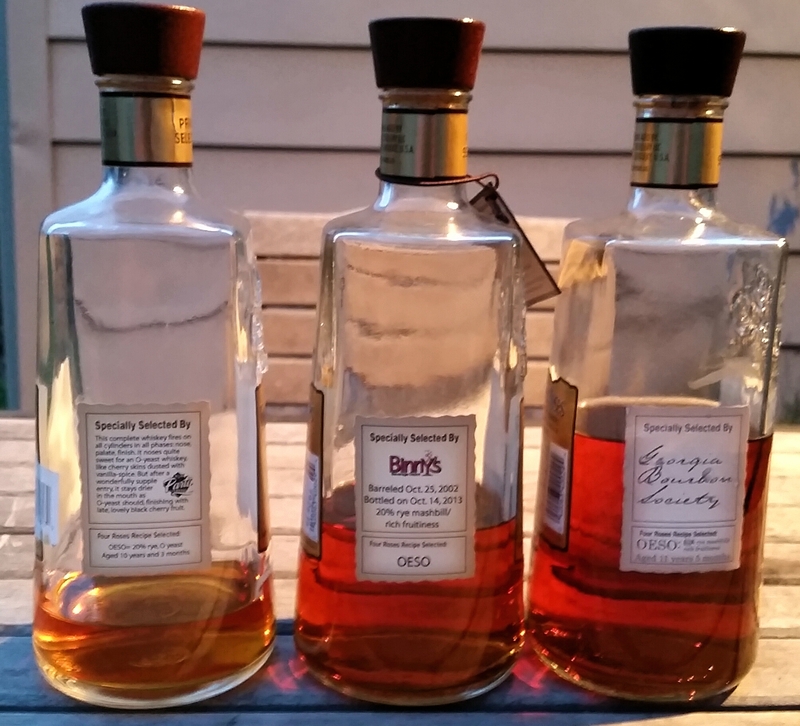 Parting words: If you’re expecting me to rave about how great this is, like I do with all the Four Roses annual releases, then you obviously read this blog and know me very well. Continuing the symphonic metaphor from the review of the 2011 release, this is Beethoven’s seventh symphony. If you’re not familiar with Beethoven’s 7th, it may be his best after the 9th. It has the power of the fifth symphony and the richness and texture of the sixth. The 2012 Ltd Ed Small Batch has the power of the 2010 release and the complexity and elegance of the 2011 release. The result is a flawless whiskey, like the seventh is a flawless symphony. Mariage 2009 is still the ninth, though. It transcended the genre and broke new ground that still hasn’t been completely mined. At any rate, this is one of the best bourbons I have ever had. It’s as good as the 2012 single barrel, and is an improvement on the 2010 and 2011 Ltd Ed Small Batches. 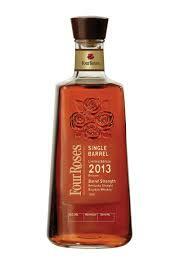 Four Roses Limited Edition Small Batch, 2012 is highly recommended. Nose: Oak, alcohol, caramel, butterscotch, raw almonds, antique roses. On the palate: Full-bodied and hot. With water, cassia, caramel, vanilla toffees, oak, amaretto. Finish: Hot, rosewater, roasted almonds, oak and christmas spice at the end. Tingles all over for an obscenely long time. 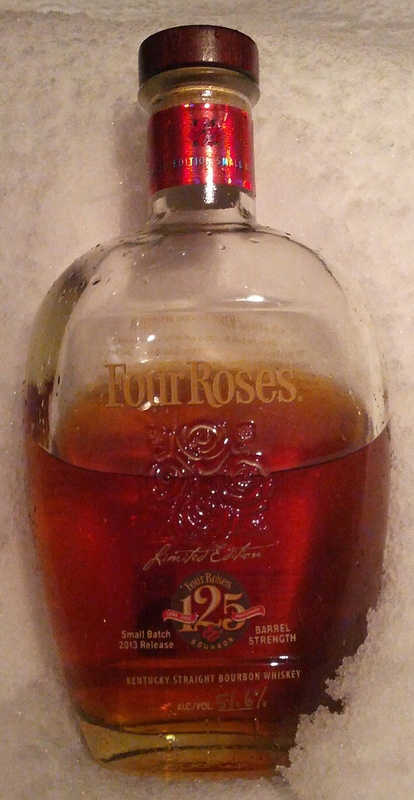 Parting words: As always, Four Roses delivered a remarkable bourbon for its Ltd Ed Small Batch in 2011. 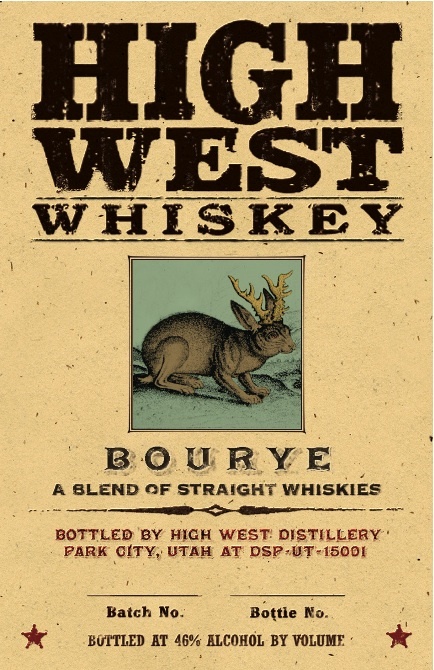 The 2010 was an agressive, brash, punk rock sort of whiskey. 2011 is much more Classical, as in Haydn, Mozart and early Beethoven. It’s a leather armchair, sipping bourbon. 2011 is beautiful and has its complexity, but it’s not the breathtaking masterpiece that Mariage (the predecessor to Ltd Ed Small Batch) 2009 was. It’s Hayn’s 100th Symphony, not Beethoven’s ninth. But that doesn’t mean it’s not great in its own right. It is. 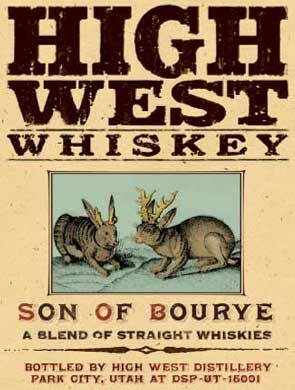 It is one of the best bourbons I’ve had. It is probably the second best bourbon in this Ltd Ed Small Batch/Mariage series. 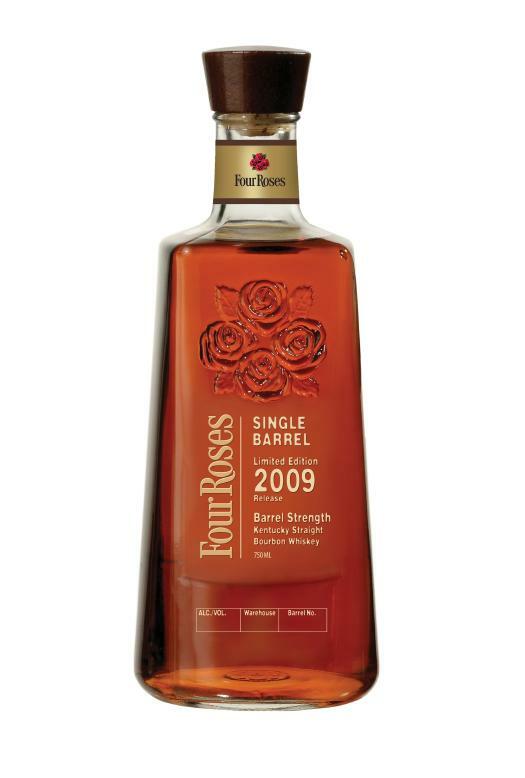 Four Roses Limited Edition Small Batch 2011 is highly recommended.